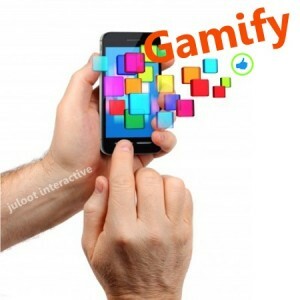 We designed a gamification mobile app for the participants of the Digital 2012 convention. To engage the participants we build small-group and individual challenges based on the convention content. The challenges kept unfolding after the convention ended for additional two weeks on participants’ smartphones. They could show what they learned and implement from the convention by finishing the location based quests, gaining additional points and as a result better positioning on the participants’s leader board. Liking and commenting on fellow quests gain them additional points. Participants embrace our gamification app with love stating it’s the first time they experience fun in a formal convention. Moreover, the mobile game app serve to create a vivid experts community. How we Gamify the event? Our work include Creative and Concept, design and implement the challenges based on the convention theme and scope with focus on future marketing trends. Creating location based quests. The management of participants’ interactions on location and on the mobile app. Game challenges and quest analysis and feedback for managers. Graphical Design of challenges and quests including embedding video clips trivia. CBC Group Ltd. The Central Bottling Company (Coca Cola Israel). Platform: iOs, Android. a Location Based game mobile app, Website.